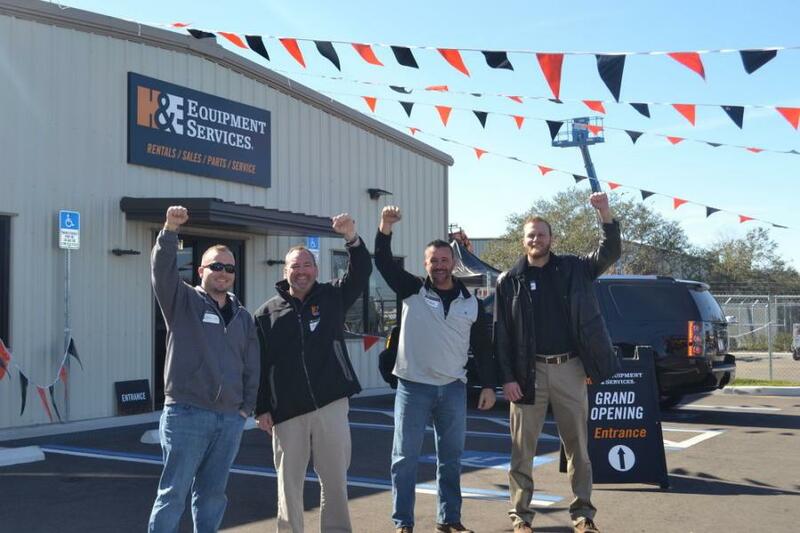 (L-R): Chris Key, H&E territory manager; Rick Bystrycki, H&E Tampa branch manager; Mark Kollar, H&E territory manager; and Brandon Wilkinson, H&E territory manager, were pumped to host their grand opening event in Tampa. 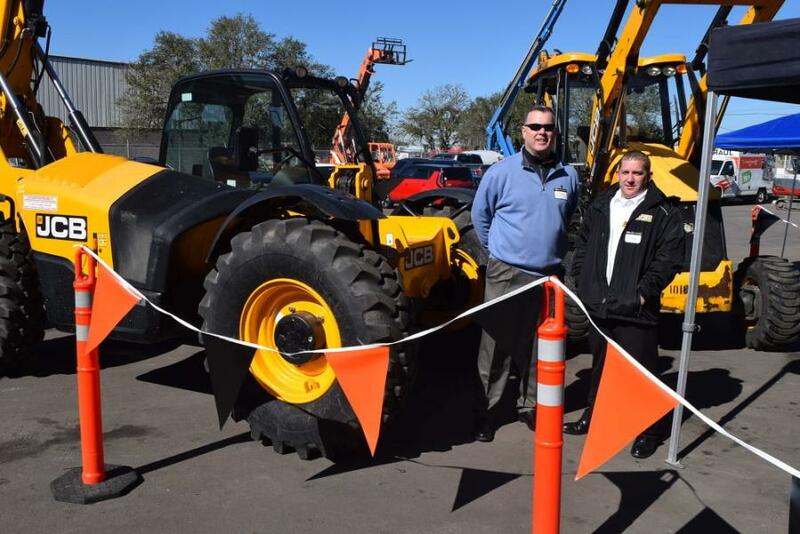 On Jan. 18, H&E Equipment Services Inc. held a grand opening celebration for its newly-constructed facility located at 6227 East Adamo Dr., Tampa, FL 33619, 813/635-9688. 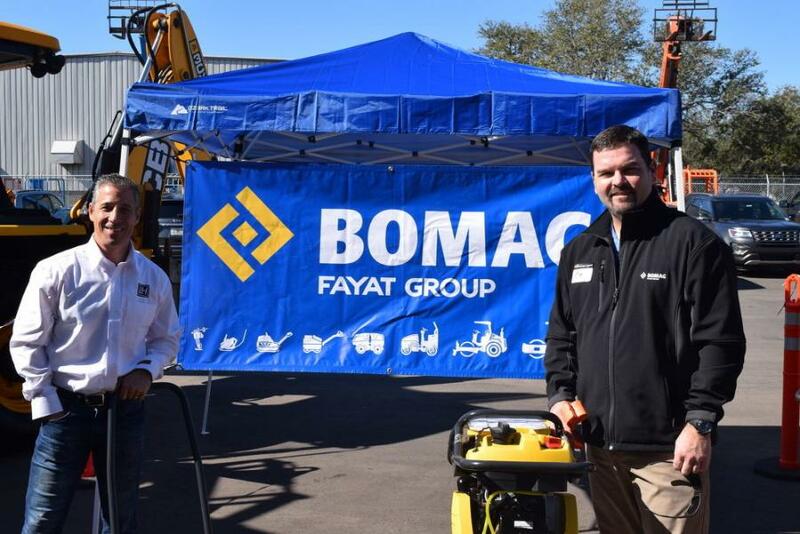 The company relocated its old Tampa branch to the new facility. The new branch provides full-service coverage for customers throughout Tampa, St. Petersburg and surrounding areas, and is one of five branches throughout the state of Florida. The 9,500 sq. 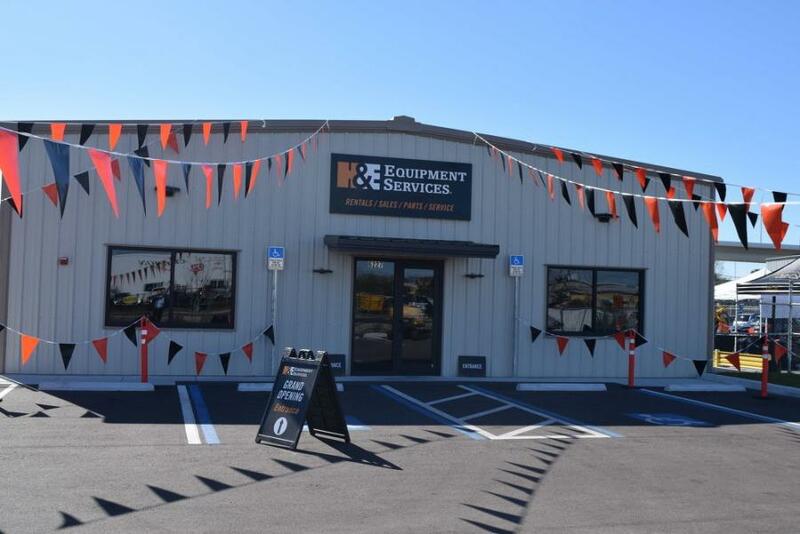 ft. facility sits on 3.23 acres with a fully-fenced and paved yard area, offices, parts warehouse and an eight-bay repair shop equipped with a 5-ton overhead crane. 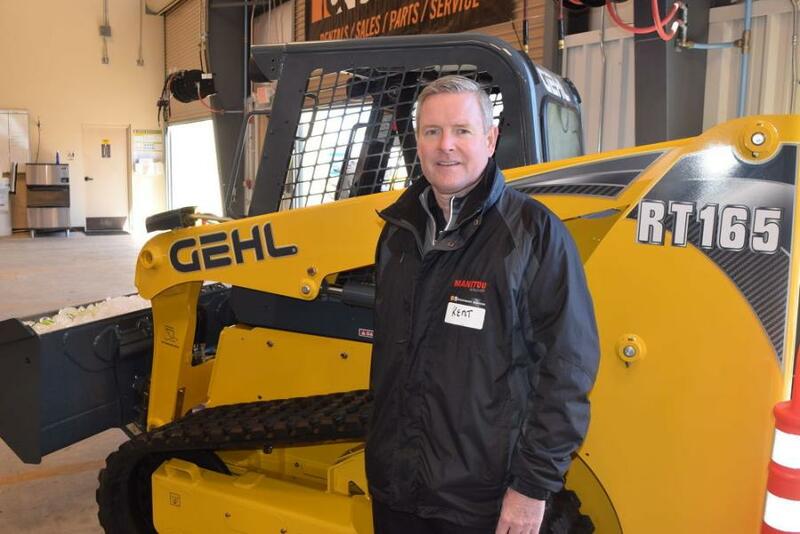 The facility is capable of repairing a variety of general industrial, construction and earthmoving equipment. 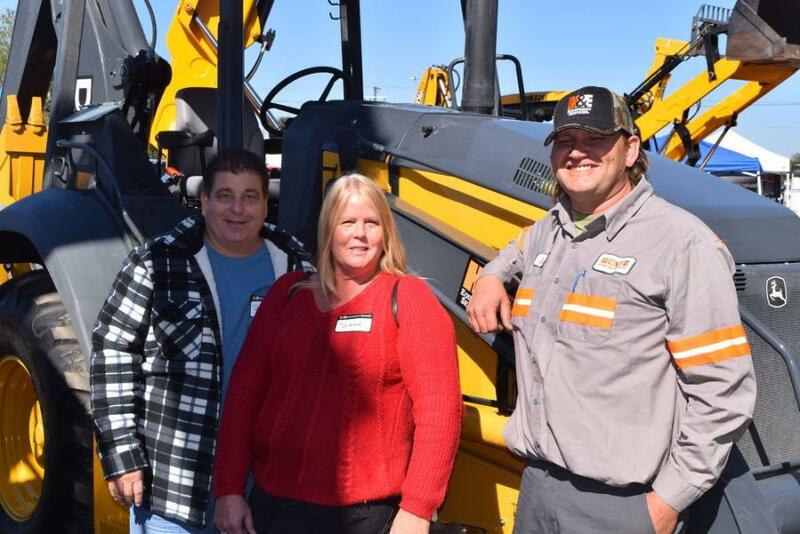 The branch specializes in aerial lifts, telescopic forklifts, earthmoving and general construction equipment from the following manufacturers: Atlas Copco, Bomag, Club Car, Doosan, Gehl, Generac, Genie, Husqvarna, JCB, JLG, John Deere, Laymor, Miller, Multiquip, Okada, Skyjack, Skytrak, Takeuchi, Towmaster, UniCarriers, Wacker Neuson, Yanmar and others. 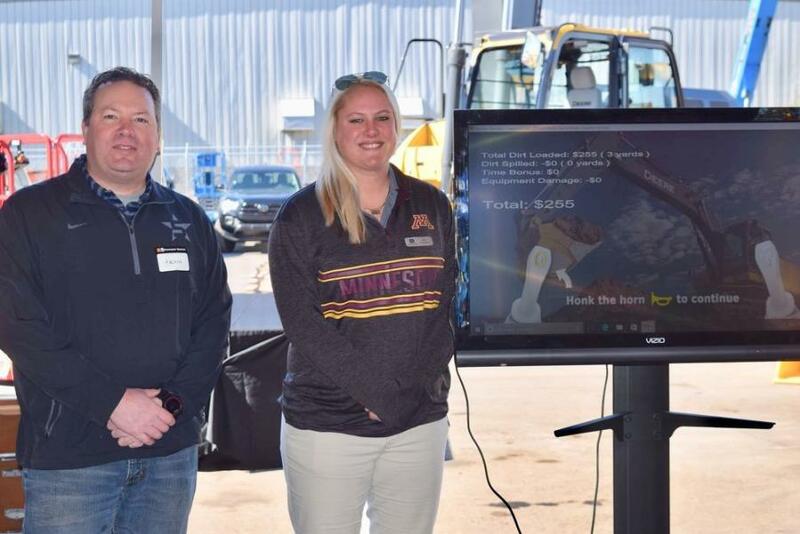 Established in 1961, H&E Equipment Services is ranked ninth in RER's Top 100 and is a leading supplier of equipment for construction, industrial, mining, manufacturing and material handling industries. Headquartered in Baton Rouge, La., H&E has 83 locations throughout the Gulf Coast, Mid-Atlantic, Intermountain, Southwest, Northwest and West Coast regions. 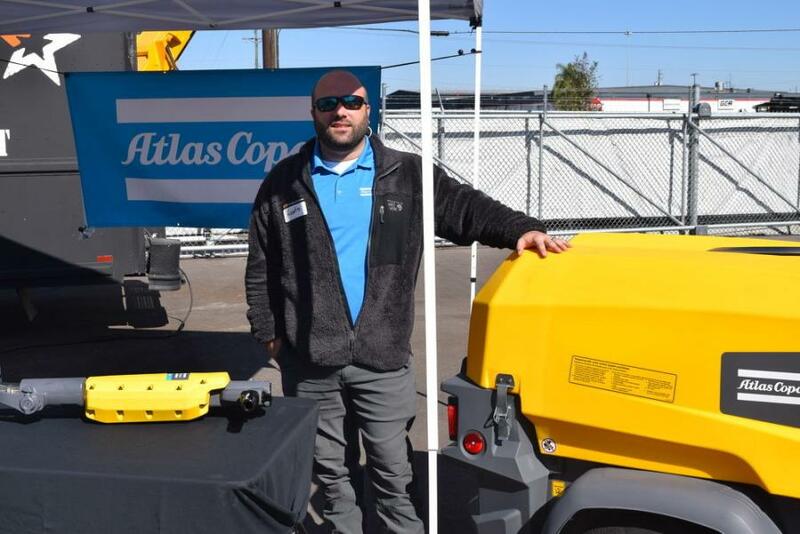 For more information about H&E Equipment Services, visit www.HE-equipment.com.